I stole this idea from the play area at Arcadia educational farm. 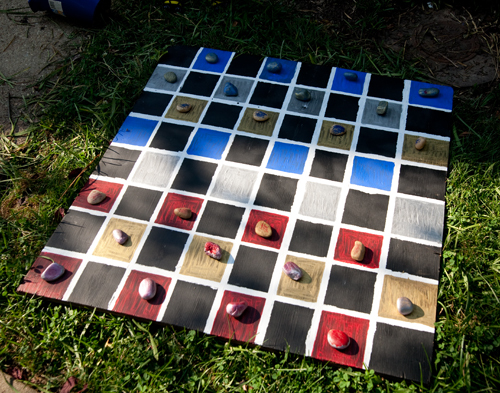 It’s an outdoor checker board. 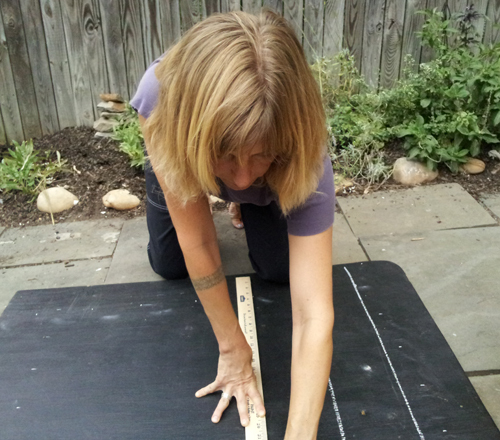 I had the perfect board to use — a big piece of wood I had painted in chalkboard paint and was sitting mostly unused in the back yard. Occasionally, the girls would draw up a menu for mud pies on it. Seemed perfect for a new incarnation as a checker board. 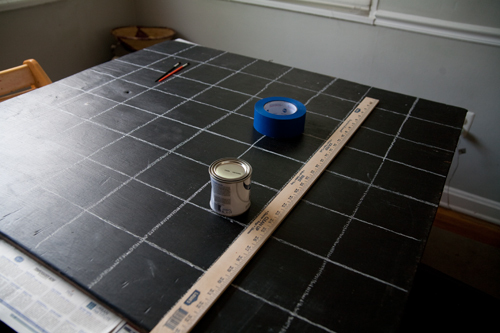 I drew a grid with white chalk with 8 squares horizontally and vertically. I moved the board inside to do the rest of the painting since it was too darn hot to do the rest outside. 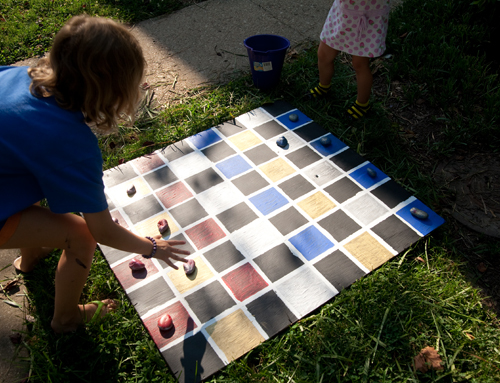 Play checkers maybe, but paint, no way. 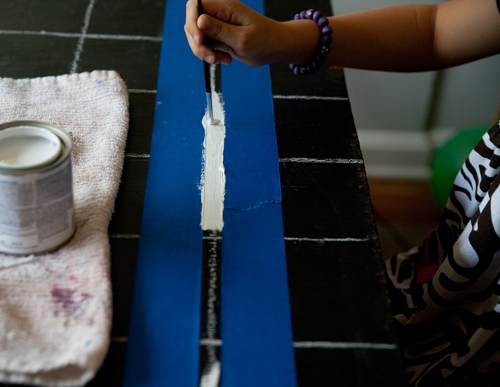 Then, I used painter’s tape to mark where we would paint white stripes with outdoor paint. 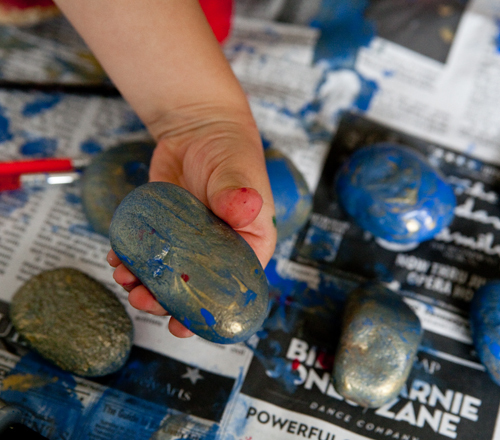 Meanwhile, Nadja painted the rocks with outdoor paint. 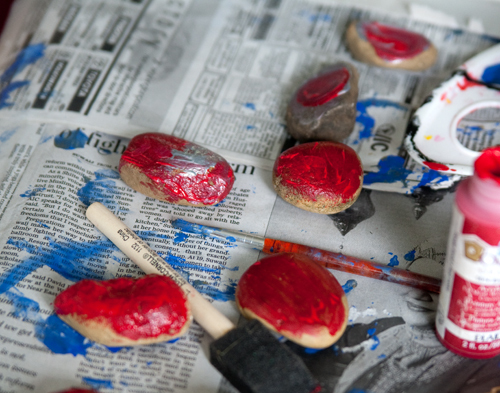 It took a few weeks to collect 24 perfectly sized rocks — you’ll need relatively flat rocks that can be stacked when a piece is crowned and becomes a king. We found them on walks, and Katie found a bunch in a ravine near where her son Jack plays baseball. Nadja painted 12 with red and silver, and 12 with blue and gold. 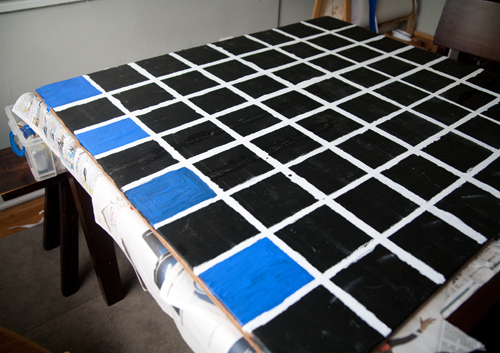 After the paint dried marking the grid, I filled in the squares with the rest of the paint. 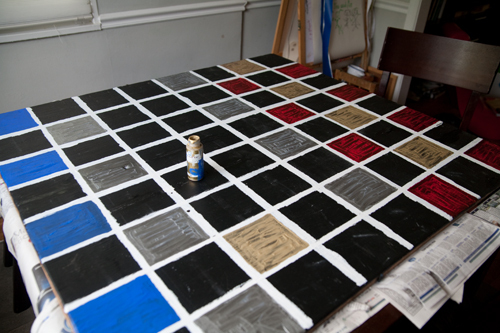 Next, I sprayed the entire board with a protective enamel. And later in the afternoon, we were ready for play. Here are the girls setting up the two competing sides. 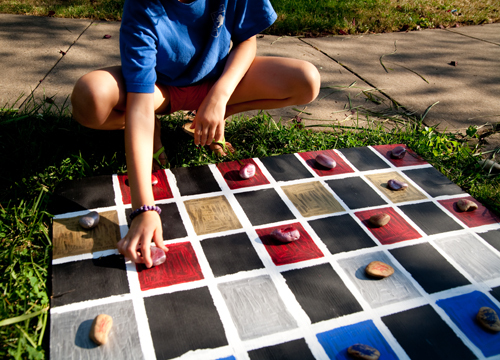 The board, although a great project for checker tournaments on the lawn, is going to make its permanent home in the courtyard of Ana’s elementary school.